The Grand Canyon is one of the destinations I have yet to go, but I know that it will be mind blowing when I get there. I’ve seen it from the air at least once and have secretly been planning my cross-country trip there for the last two years. 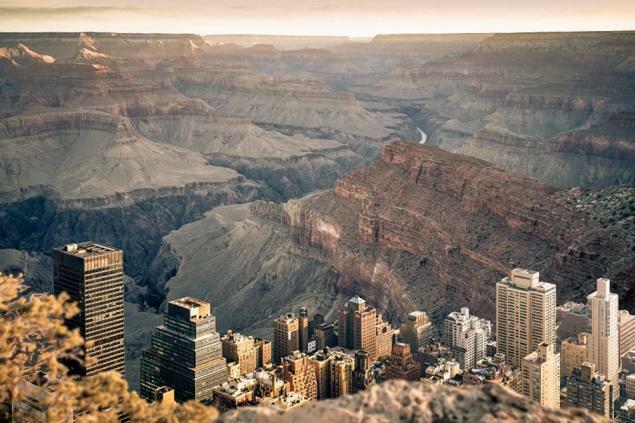 So when I came across these photos by Swiss artist Gus Petro, 27, merging my favorite city New York with the stark beauty of the Arizona desert, I was in awe.